Happy Sunday!! 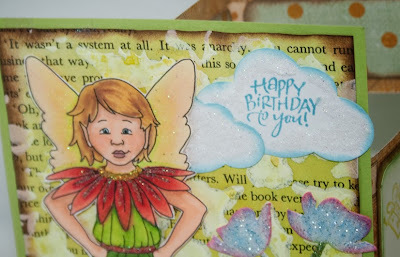 I made this card a couple of weeks ago for a friends birthday. I wanted it to be a mixed media card, so I started with the Daisy Fairy Digi Stamp from Beccy Muir and colored with Copics. 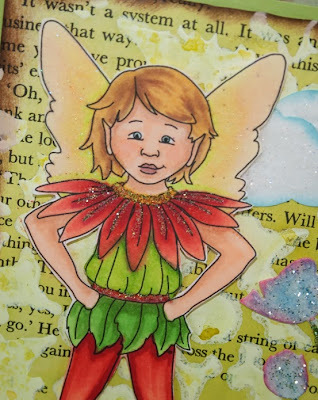 The wings were covered with Velvet Sparkle EP to give them a soft sparkle. 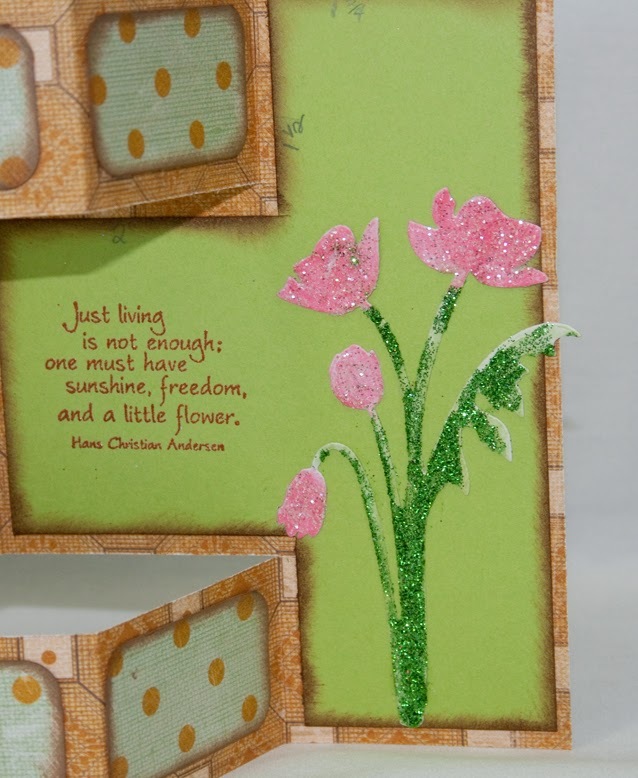 The clouds where flocked with Brushable Glue and Twinkling Clouds, and the flowers where glittered with Waterfall and Green Nugget. The background was a book page with gesso over a template and sprayed with Tattered Angels. 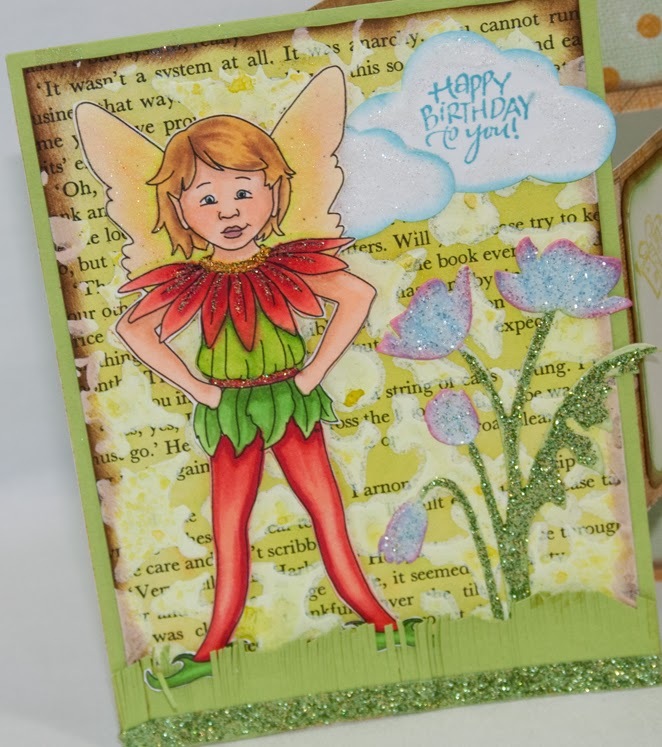 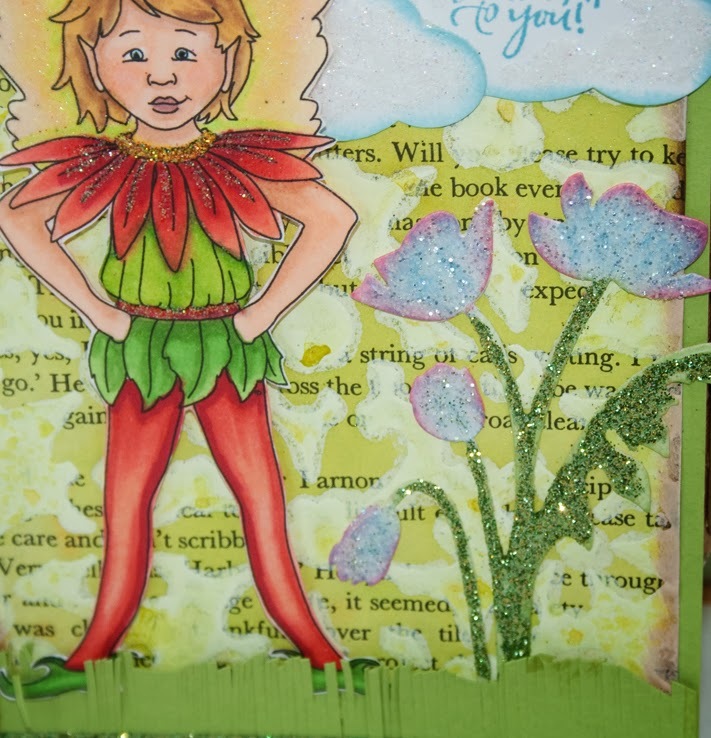 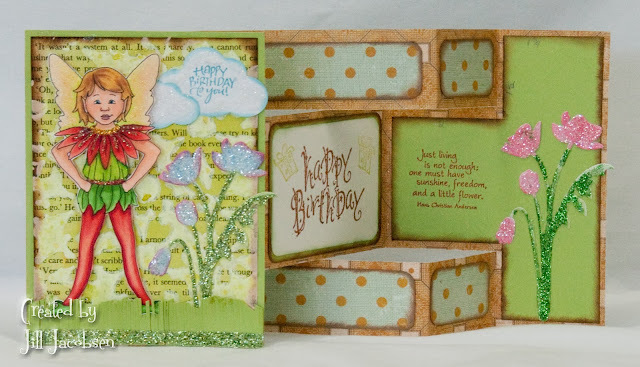 Lots of fun making this card and creating the whimsical mixed media.